Granted he’s not a teenage phenomenon anymore—he’ll turn 30 later this year—but Jonny Lang is still too damn young to be so damn good. 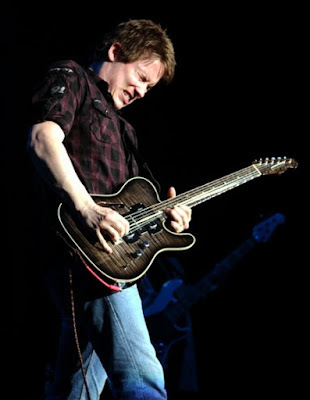 On the opening night of his Live By Request tour, on which he includes a selection of cuts voted for by fans through his official website, Lang delivered an inspired performance. And in moments too frequent to mention, he sounded more like a seasoned bluesman from the Delta than a contemporary musician from North Dakota. Variations of the blues indeed dominated early and throughout, as Lang began with a brooding version of “Give Me Up Again” before delivering “A Quitter Never Wins” with blistering fury and bite. Each solo elicited a flurry of grimaced expressions as if he were literally jolted by each chord he struck on his guitar. In other highlights, Lang steamrolled through “Still Rainin’” and “Red Light,” the latter’s urgent pace collapsing into a steady, rhythmic chant of “everything’s gonna be all right” that many in the crowd echoed with joy. Closing out the main set with two covers, Lang not only underscored the scope of his influences, but—in pulling them off as well as he did—so too the depths of his talent. He dusted off an acoustic, guttural version of the Muddy Waters chestnut, “Forty Days and Forty Nights,” before ushering in a torrid rendition of “Livin’ For The City,” capping off the funky Stevie Wonder classic with a coda that spotlighted vocalist Jason Eskridge, whose soulful runs brought the concert to its climax. Some of the night’s extended jams ran far too long, though, particularly as they tended to feature everyone but Lang. The most unnecessary instance occurred on “I Am,” during which the star ceded the focus to each musician in the band, who offered up one ostentatious solo after another in what came across like a rivalrous exercise to entertain themselves rather than a collaborative effort to entertain the audience. More importantly, in the time it took to wind through all of this overindulgence, Lang could have played another one or two songs. On the whole, however, such criticism doesn't overshadow Lang’s contributions, which culminated time and again with stirring, genuinely soulful music. 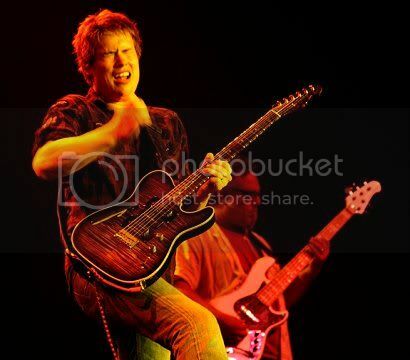 First published as Concert Review: Jonny Lang - Ruth Eckerd Hall, Clearwater, FL 5/21/10 on Blogcritics.